Gallery owner, art historian, and North Carolina native Charlene Newsom employs her broad knowledge of NC art to curate an extensive collection celebrating the best and brightest NC artists of past and present. The show includes landmark pieces by influential North Carolina artists as well as historical works that explore various views of race. 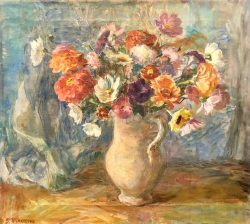 Some of the biggest names and most important North Carolina art from the 19th and 20th centuries are included in this year’s show. 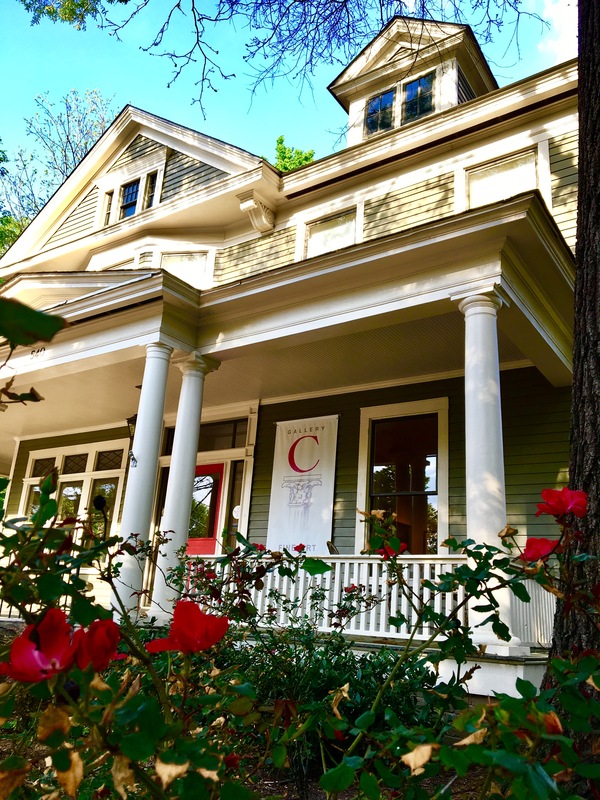 Since 1985, Gallery C has brought talented artists and fine art to the attention of private collectors and museums across the Southeast. 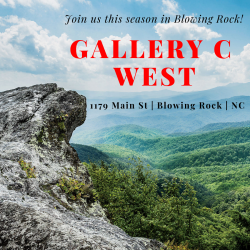 In its new, not to be missed Pavilion space, Gallery C West will feature hard to find pieces by historic Blowing Rock artists such as Elliot Daingerfield and Bayard Wootten. Other contemporary names such as Watson Brown (photograph), Laura Lacambra Shubert (figurative oils), Trena McNabb (botanical landscapes) and Lee Mims (animals and nature scenes) and more, will be exhibited and offered for sale. 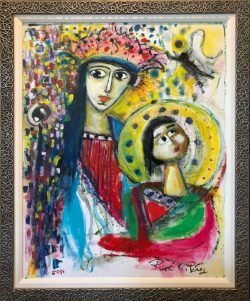 We just can't help but admire the marvelous job our Framing Department did on client Jessica Holland's "Madonna and Child" painting. Pairing a silver frame with a linen liner, we've fitted the work with a chic and modern look. Click the link to learn more about our framing services! 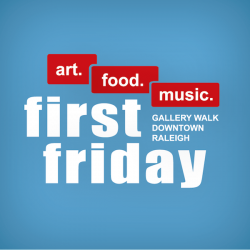 What is First Friday??? It's a free self-guided tour of downtown’s cutting edge cultural hot spots. Local art galleries, art studios, alternative art venues, and museums stay open late the first Friday of every month to welcome thousands of art-seeking enthusiasts downtown. The event runs from 6 pm-9 pm. Attendees may take advantage of the First Friday specials offered by participating restaurants and retailers. Look for the First Friday Flags to easily locate participating venues. A detailed map/guide will be available at each location. Pick up your own copy for easy event navigation. Visit the galleries and listen to live music. Delight in a divine culinary experience and take advantage of the First Friday Specials offered by all participating restaurants. Experience art in all of its forms!